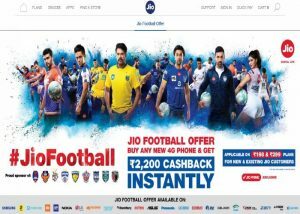 The new Jio Football offer is applicable for prepaid customers on the Jio network. However, to avail the offer, Jio customers should activate their connection on any of the new eligible smartphones, then Jio is offering rupees 2,200 as cashback. But users make a prepaid recharge of rupees 198 or 299 before the last date of the offer, 31st March 2018. Jio will then offer him 44 vouchers of rupees 50 each will be credited on MyJio app and unused cashback vouchers will expire by 31st May, 2022. After a successful recharge, their MyJio account will be instantly credited with 44 vouchers, each worth rupees 50. 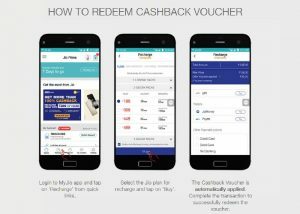 These vouchers can be used one at a time via the MyJio app, while performing subsequent recharges worth rupees 198 or 299. Note:- User must need to download the MyJio application on eligible device.